One thing I am yet to master from both my ammas is making good use of leftovers.I admire anyone who can turn a leftover dish into a new delicacy without turning up noses at the dining table.I mean,the maximum I do is to add leftover Dal into Sambhar or make Rasam out of it.Of course making Upma out of Idli and Bread does constitute as leftover cooking,doesn't it? Pathrode/Pathrode is a routine dish that gets made in both homes.Usually a big batch is made depending on the availability of Taro leaves.Most of us at home like it fresh the most,steaming hot out of the Pedavan.After that comes the roasted version,thin slices are cut and roasted till crisp in tawa liberally topped with some coconut oil.If there is still some leftover,this ghashi is made. No rocket science,this one too.A basic Coconut masala is made and slices of pathrode is added and simmered for a while.Served with rice it makes for a delicious meal. Grind to a smooth paste,the ingredients mentioned for the masala and keep aside. In a kadai add oil and saute half of the chopped onions till brown. 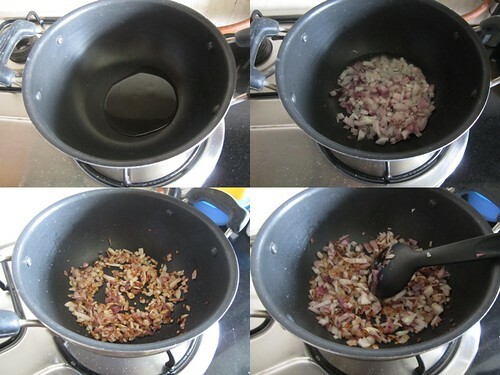 Mix in the rest and saute till the second batch of onions too get slightly brown. Add the coconut masala and enough water required to make it a thickish gravy. Mix in the chopped pathrode pieces.Check for salt and add if required. Pathrode curry is looking interesting. Yummmm Divya..long time since I had this. 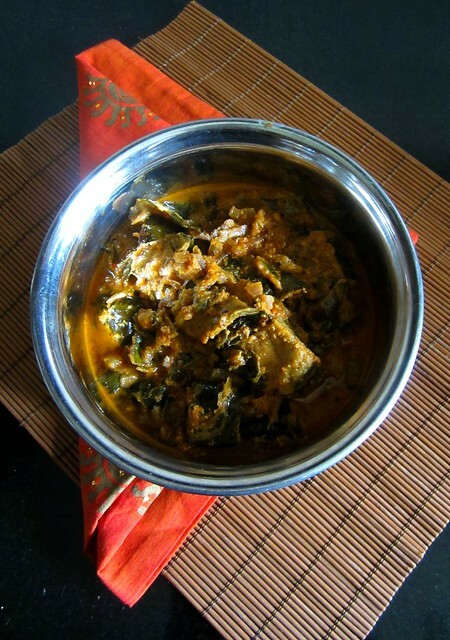 Yummy curry with the goodness of pathrode! 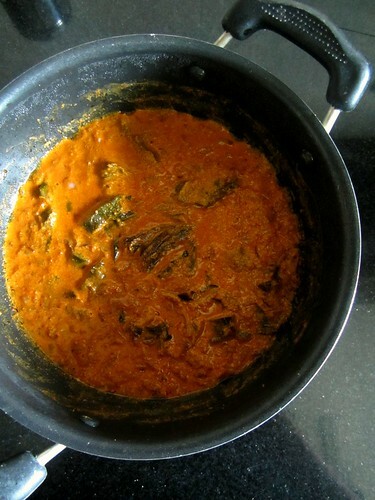 Pathrode and related dishes are very much or uniquely konkani.. hadnt come across any other communities making this healthy dish. 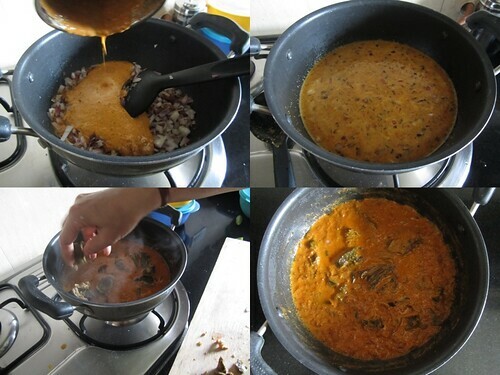 @bharathy Vadai curry is not from left over vadais .. even i was thinking the same.. later i came to know its very different preparation from the same ingredients that we prepare for vadai ! right from pathrode to preparation everything new to me ! Hi Divya.Nice to see your post again.You know my mom first tempers some mustard seeds,udad dal, methi seeds and some curry leaves and then adds the onions ,once they are brown adds the same above masala. That ghashi also tastes great.Try it some time and tell me whether you like it.